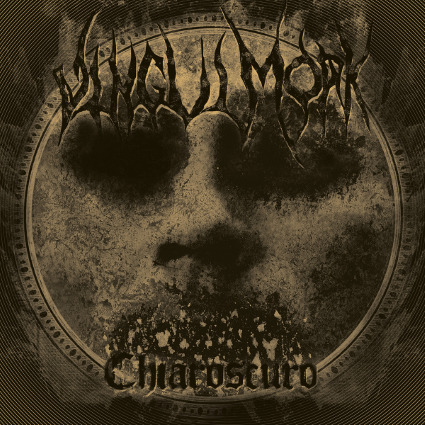 Vingulmork is a band that's too big for a single metal subgenre. Their music transcends the boundaries of death metal, thrash metal, and black metal to create a new thing. Blackened Thrash, or Death Thrash, or whatever other permutation you can come up with. I'm going with Death Thrash, because it just sounds so much cooler than blackened anything , besides chicken. Perhaps I'm just being a silly writer, but damn it it's my space to write in. 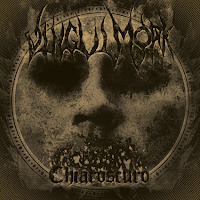 Vingulmork have been at this a few years and today's album is their first full length album, a follow up to their self released EP, The Long March, from 2013. Chiaroscuro wastes no time blasting the listener. Full of raunchy guitars, blasting drums, demon growled vocals, and frankly all that really good stuff fans of extreme metal love. Is this album any different than the 1500 we've already heard over the years? Well yes. The band seems to have a few gears. Starting off in full on machine precision thrash mode. Riffs blast like three round bursts out of an M-16. When it feels like the songs have reached critical mass, they down shift straight to hell. The vocals go from shouted growls into full, throaty, thick death metal growling and this is done without missing a beat and it ups the power ante as if this were an arms race. That third gear you ask? 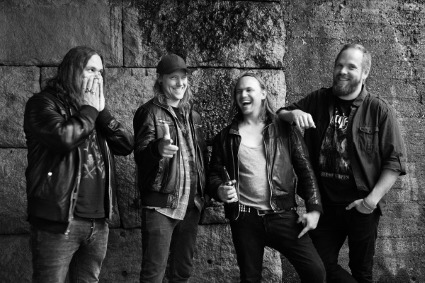 Instead of always powering up the guns, they pull back into more melodic territories with sweet guitar interludes, well as sweet as death metal ever gets anyway.